Other priorities were approved without showing up on a public agenda and without public input: 25 percent to streetcar operations, 14 percent to city facilities, 10 percent for decks over Fort Washington Way and 1 percent for outdoor sculptures. The article portrays this spending in a negative light, but I think that these are all positive investments into the city. Even the sculptures. 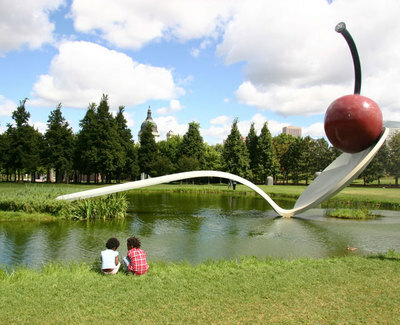 If you’ve ever been to the Minnesota Sculpture Garden, sculptures can be a tremendous attraction.